Black is an heirloom variety of unknown origin. 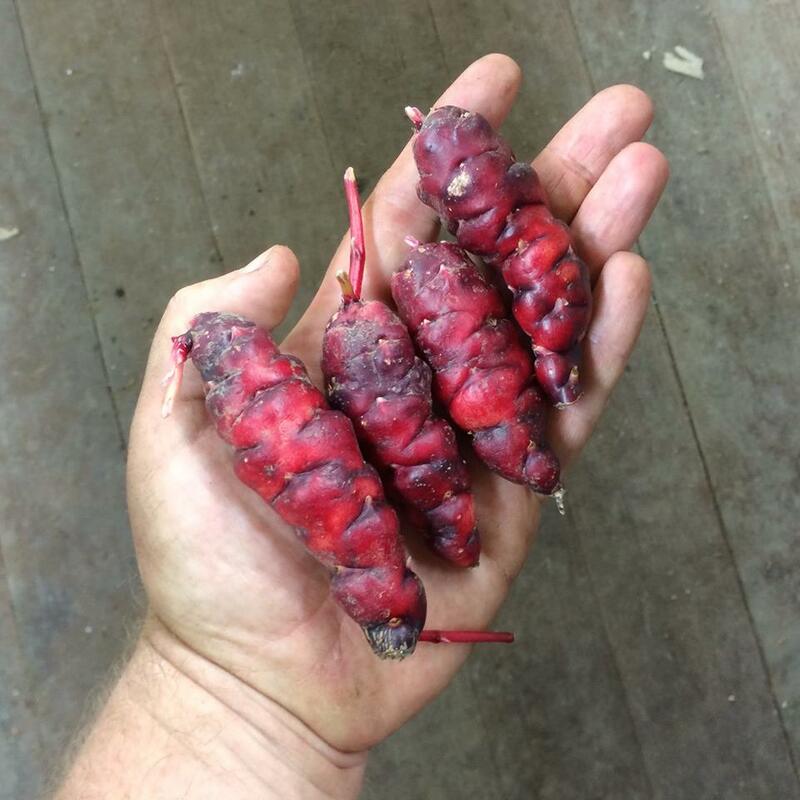 Tubers are red at harvest and darken on exposure to a very deep red/purple that is nearly black. Frankly, I find Black to be kind of a misleading name, but I keep the names that come with the varieties. Black has a flavor very similar to potato with just a hint of tartness. The cooked texture is moderately firm. It loses most of its color with cooking. Black plants are relatively compact and upright. 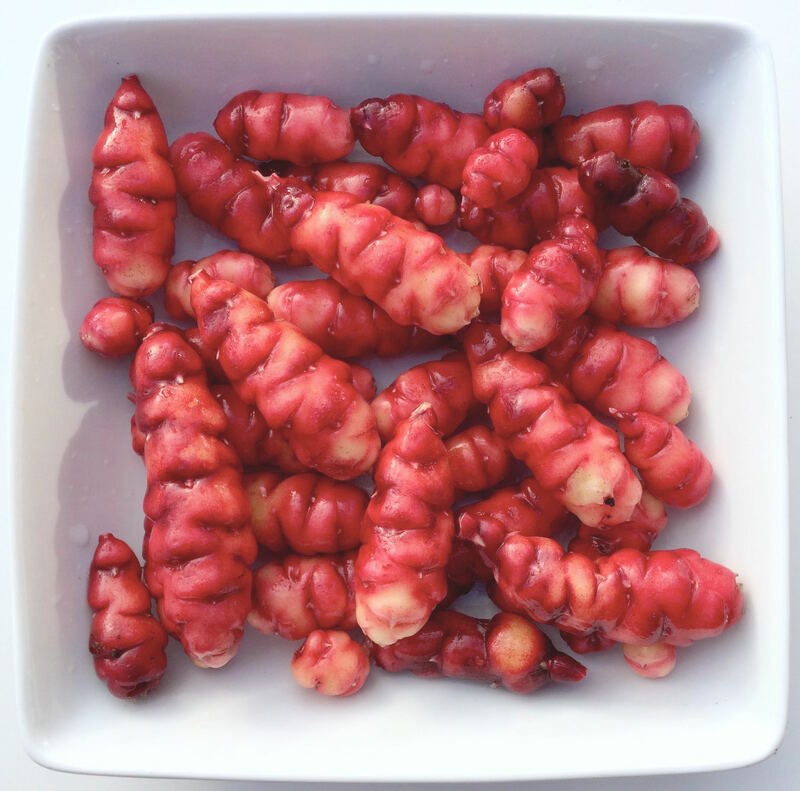 Tubers are produced on fairly short stolons, which can result in crowding and some irregularly shaped tubers. The tuberization photoperiod is about 12 hours, like most heirloom varieties. Average yield is about a pound. The maximum tuber length is 4.4 inches and the average tuber length is 1.9 inches. Average tuber count is 28. Black is a heavy flowerer with a long-styled flower, flowering here August to October.